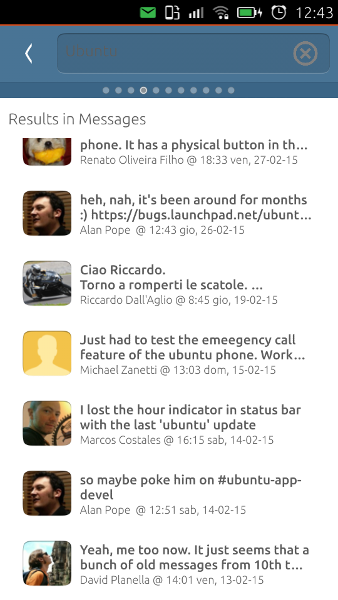 One of the thing I appreciate most on Ubuntu Phones are scopes: they are a totally new way to interact with contents. Unfortunately, after the presentation of the BQ Aquaris I’ve seen a lot of bloggers saying “Scopes aren’t innovative, Android has widgets for years”. My first reaction was “C’mon, how could you say that? It’s obvious you haven’t tested them”. Then I understood that, yes, we have to blame bloggers because they talk about things they don’t know, but at the same time we weren’t good enough to explain why scopes are so cool, and why could be game changer (but they still need some work, as I’ll evidence at the end of the post). Ubuntu’s scopes are like individual home screens for different kinds of content, giving you access to everything from movies and music to local services and social media, without having to go through individual apps. 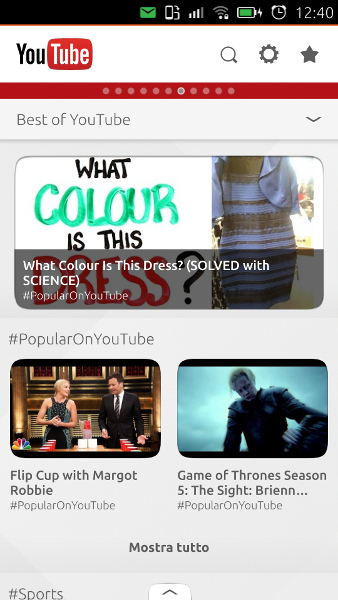 I don’t have a Youtube app, but I can see the best of Youtube without going on the browser. Basically, they try to find the best result for your queries. This is one of the main differences with Android’s widgets: scopes have a search bar, and they update themself according to your search. Also, sources of scopes (so where they take their informations) aren’t only installed apps, but could be anything: a website, a RSS feed, the scope itself, other scopes. Android’s widgets are only a quick link to their app. I hope it’s clear enough why scopes aren’t widgets. 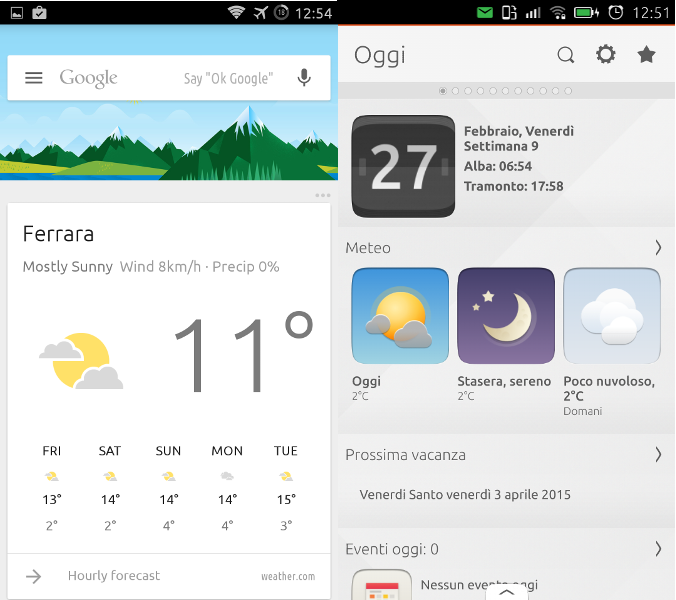 If we want to find a similarity in the Android world, scopes are like Google Now (but better). Scopes are like Google Now because, without any query, they both try to provide us informations we need in that moment (on this side, Google Now is better because it has more informations about us). But scopes will be better, because Google Now uses only one resource, Google, while scopes could use every resource on the web. At the moment, scopes miss some things Google Now have, like flights search, but it misses some things scopes already provide. What? One of the biggest company on Earth doesn’t have something a little company was able to provide in just a couple of years? Yes. Because opensource always wins. And scopes are opensource, and could use any source they want. 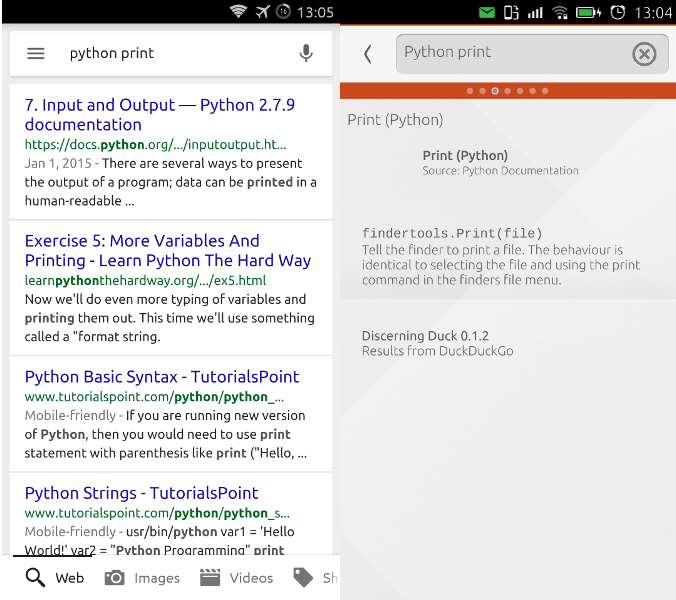 Google Now is integrated with every Google app. Scopes are integrated with every app. 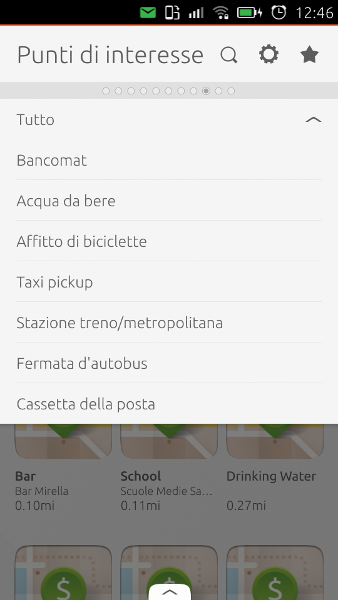 So with a scope I can search my Telegram messages, or my Evernote notes (not yet, but we’re working on Evernote scope). With a scope I have the result without having to open the browser. Other than beers, I love to code. I don’t know everything, so sometimes I need some documentation; let’s try to find how print works in Python. A link to the documentation, thanks Google, very useful. What about giving me the documentation itself, as Ubuntu scopes do? And I can go on on this way for a lot of things. Okay, I hope is clear my point here: the concept of scopes is the same of Google Now, but scopes are opensource and more powerful, now we only need developers to implement them. Luckily, it’s very easy to develop them, as Carla wrote on her blog. Voice search: voice search is critical nowadays: the less I have to look to the screen, the better is. Scope of scopes: one thing I miss a lot is a scope using reply to my query by all scopes and returns me best results. 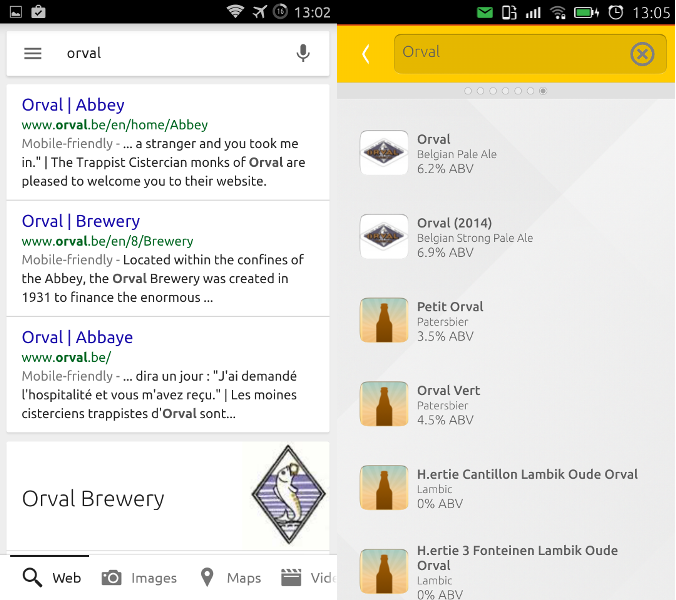 At the moment I have to swype to choose the right scope (like, for beers, untappd): I prefer to do a search, without swiping, and have the best result. But this is only the start of a great adventure. We have room for improvements. Because, remember, on long run opensource wins. Always. I made this article (and other opensource contributions) in my spare time because I love what I’m doing. If you are enjoying it and you want to buy me a beer click here.